Bodyguard E330X Elliptical is a smooth elliptical cross trainer which comes from incorporating natural ergonomics, a comfortable pedal spacing and premium components. 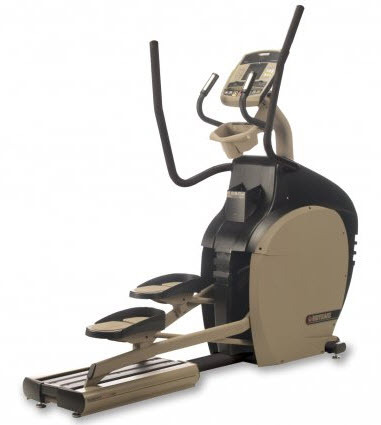 The residential Elliptical comes with a life time warranty and its part with 10 years warranty. Just get on this award winning elliptical and go, you’ll love the ride. Digital Contact Heart Rate - Faster and more accurate contact heart rate readouts shaped in a natural hand resting position. - Adjustable Pivoting Feet Improved leveling on uneven floors while maximizing stability when on an incline. The latest cost of Bodyguard E330X Elliptical will be updated soon. *Note: Most of the sites, stores or shopping portals listed above sell Bodyguard E330X Elliptical with discounts and other exciting offers. There is a possibility that the some of above websites are not selling Bodyguard E330X Elliptical now. Toughtrain.com is not liable for such cases or instances. Also we do not recommend any seller for Bodyguard E330X Elliptical and a buyer should buy from where he/she gets best deal with quality of products, service and on time delivery (shipment).